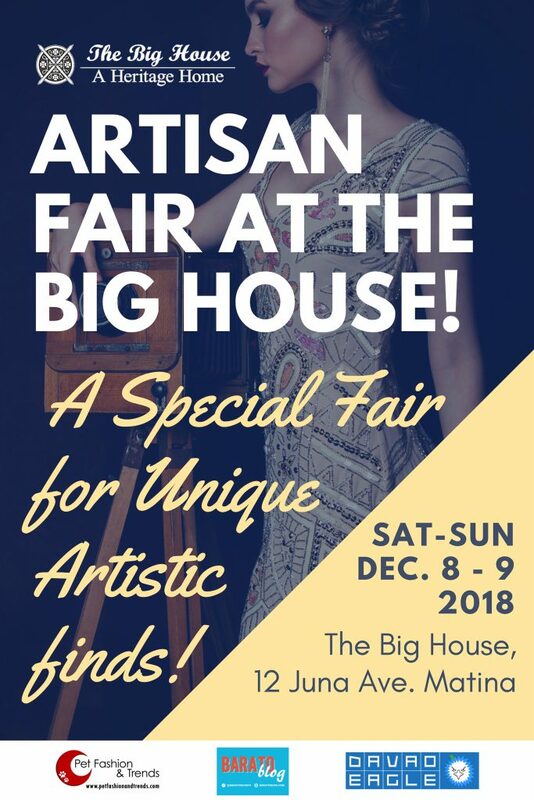 Christmas Gift Deals from "Artisan Fair At The Big House"
Christmas is just around the corner. We know it is the season of giving. Are you still thinking where to get a unique, and one of a kind items for your gifts to your loved ones this Christmas season? Then we got the best deals for you at the “Artisan Fair At The Big House”. It is a special fair for unique and artistic finds. Wouldn’t be great that while we give out gifts for our loved ones, we are also helping our local artisans and businessmen by buying their products? The event will be featuring a lot of artists to sell their hand-made products. The items are perfect for gifts and for your own collections. They will be showcasing a lot of lovely mix of artisans. Some of the items are teacups, succulents, crochet scarves, crochet accessories. You can also find dog clothes, items of furniture, and one-of-a-kind lamps. 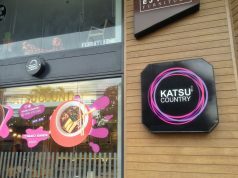 Davao-made clothes, hip native bags, artisan cheese and pesto, and artworks will also be displayed here. 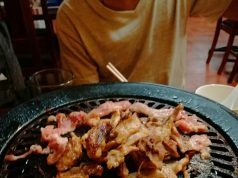 So if these do not entice you, I don’t know what else will. 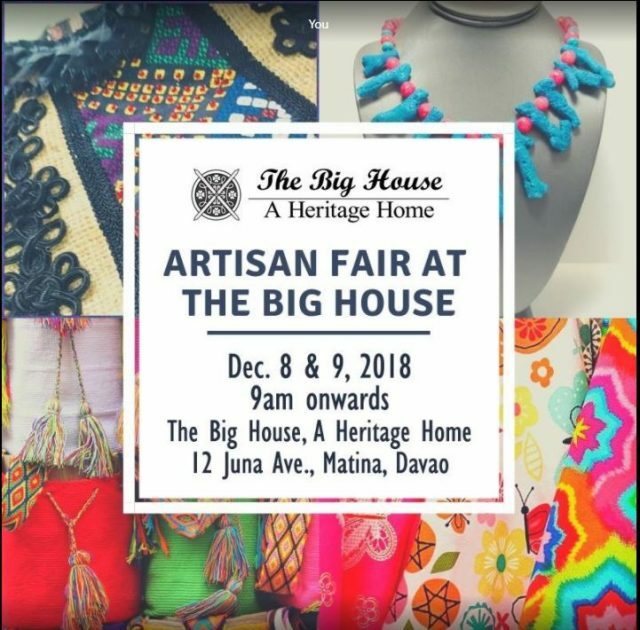 Come and join the Artisan Fair At The Big House event on December 8 to 9 at The Big House located at 12 Juna Ave Matina from 9 AM onwards.